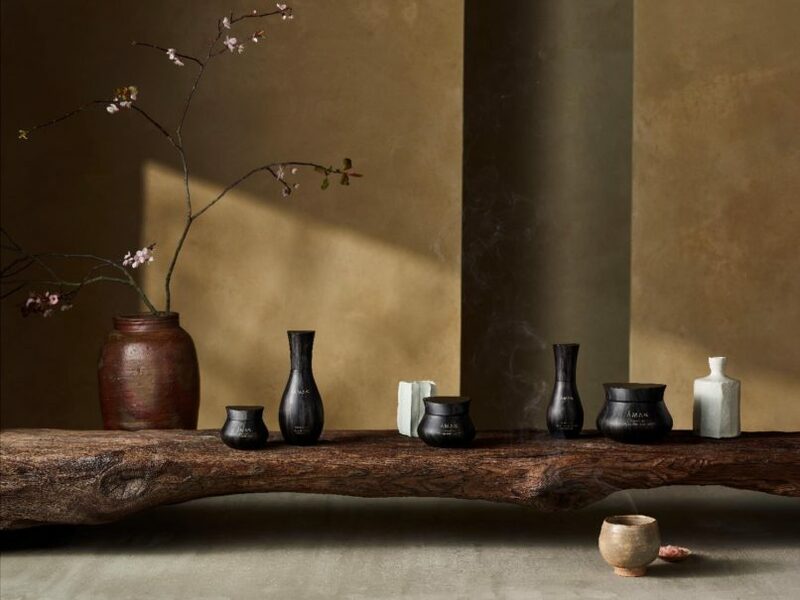 Meaning ‘peace’ in Sanskrit, Aman has become synonymous with inner tranquility, a deep connection with places, and beautifully becalming design. 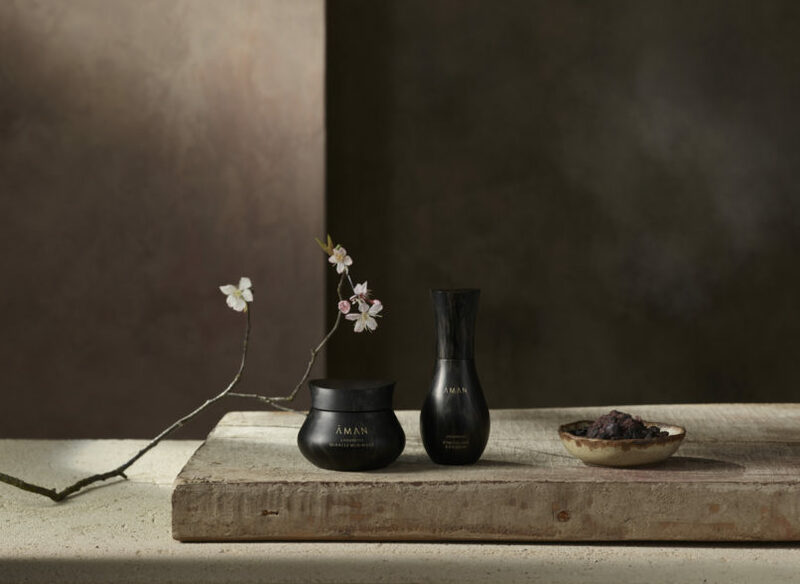 With their constellation of majestic hotels and unique resorts around the world, Aman have now also launched a skincare collection that continues to celebrate their core ethos. 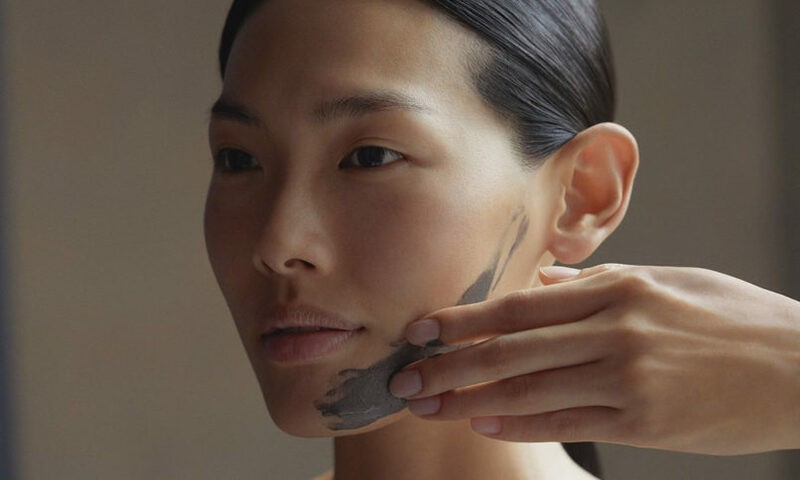 Celebrating their 30th anniversary last year, Aman released 30 unique skincare products for the first time. Much like their hotels and resorts, these skincare products also have intimate relationships with Aman’s beautiful locations. All are exotic concoctions of rare and precious ingredients that have been wild-harvested from the various hotel destinations. 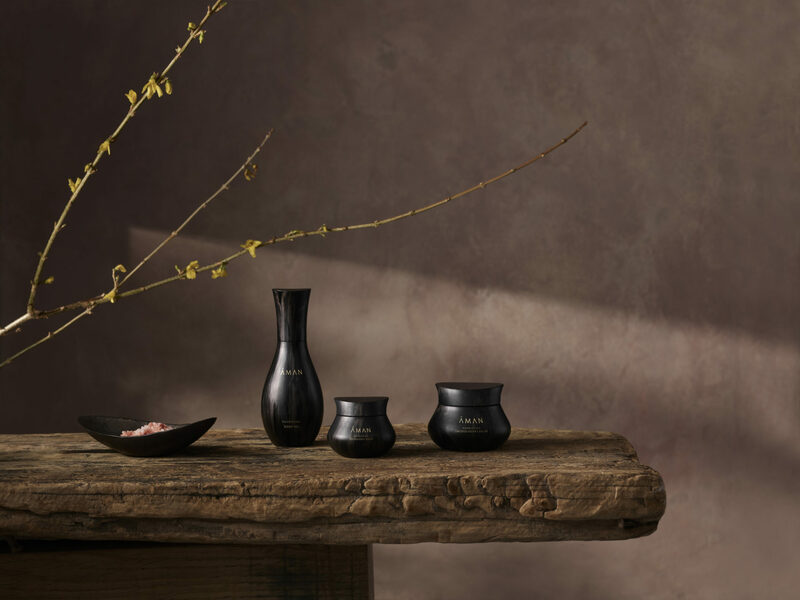 Their outstanding architect, Kengo Kuma, has adapted Aman’s Eastern roots to create striking vessels for these products. He specifically reimagines the grace and craft of Japanese porcelain. Whenever holiday-makers go to stay at an Aman location, they’re always looking to refresh their bodies and minds, to cast away daily distractions and stress. The hotels and resorts have been placed purposely in particular destinations to enhance this experience of escape and recovery. 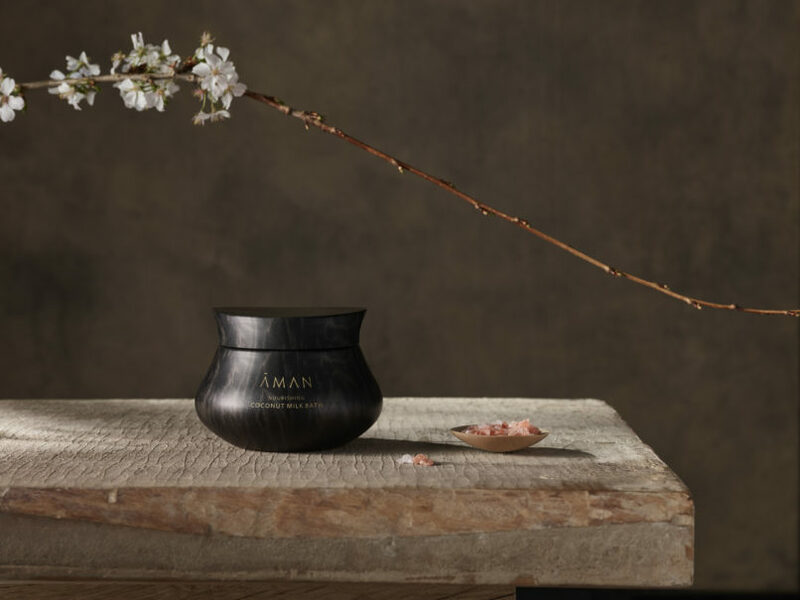 From the sense of grounding found in mountains and deserts, the purifying power of oceans and rivers, to the forests and lush greenery that offer nourishment, Aman is spiritual and ritualistic by nature. 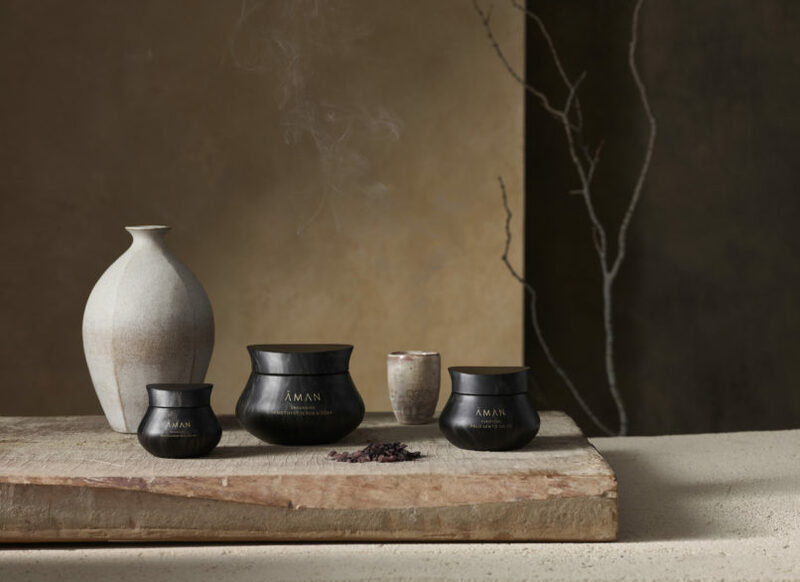 Using the Earth as their apothecary, the Aman Skincare Collection follows this same holistic journey of Grounding, Purifying, and Nourishing. With natural and truly precious ingredients such as pearls, amethyst, jade, and palo santo, the products also follow the Ayurvedic system of medicine to achieve far more than quotidian cleanliness. The products are designed for spiritual rejuvenation, achieving a holistic effect on body and soul alike. The first pathway, Grounding, involve products that alleviate stress and anxiety. The signatures in this group are the Maca Cleansing Powder, Smoked Body Butter, and Desert Dew Face Mist. 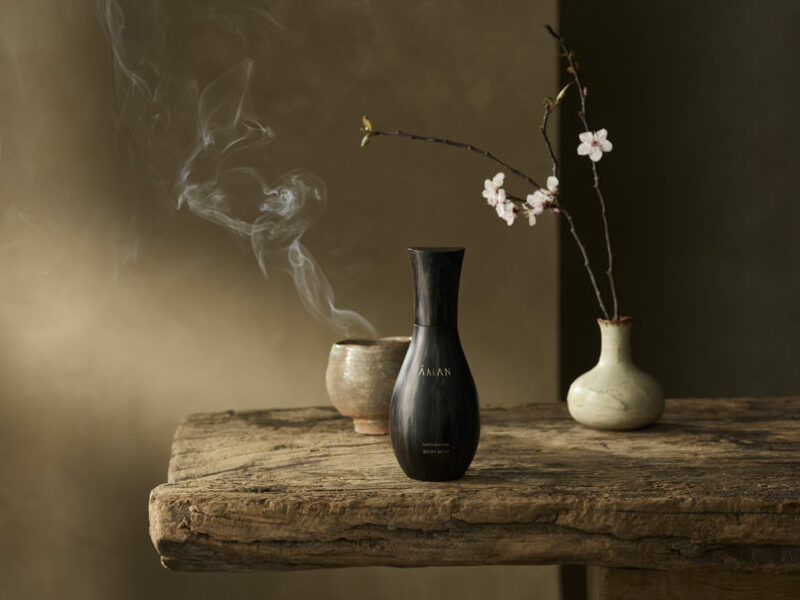 These provide recovering effects through aromatherapy, calming the nervous system, and relaxing brainwaves. The next pathway, Purifying, is the uplifting and re-energising stage. The key refreshers include the Active Marine Mask and the Palo Santo Salve. Ingredients such as algae, pearl powder, and lilac stem cells give an invigorating cleanse to rejuvenate the senses. The last pathway is the Nourishing collection, which is designed to feed and and nurture both the body and mind. With indulgent creams like the Golden Body Serum and the Coconut Milk Bath, this collection derives from the richest and most precious of Earth’s ingredients. Using jade, gold, sea buckhorn, and rosehip, the Nourishing collection is a luxurious path to healing and strengthening. Experts in the field of Wellness, Aman promise a thorough healing experience and long-term benefits for both the mind and body. Their world-renowned spa treatments have defined the tranquil soul of Aman and their hotels’ ability to instil a sense of home away from home. 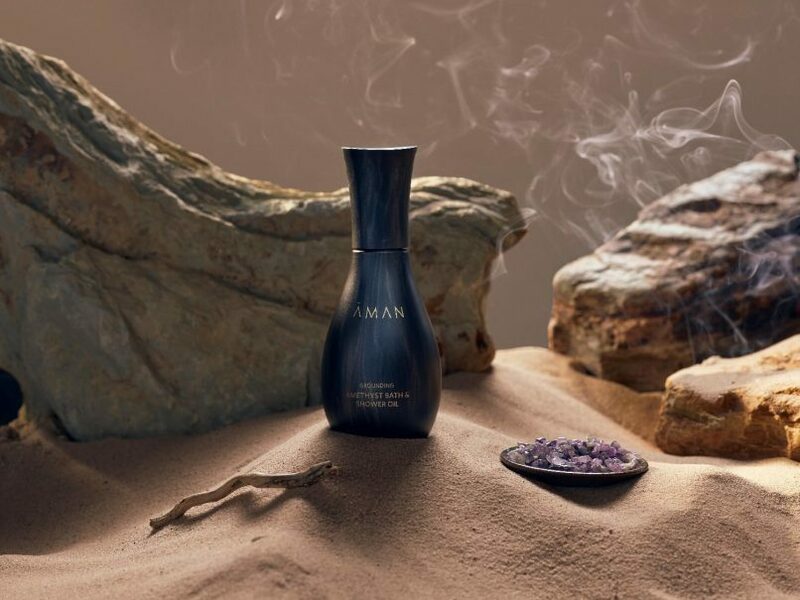 Finally, this sense has come full circle: bottling their essential spirit for their skincare collection, we can now all bring Aman home. 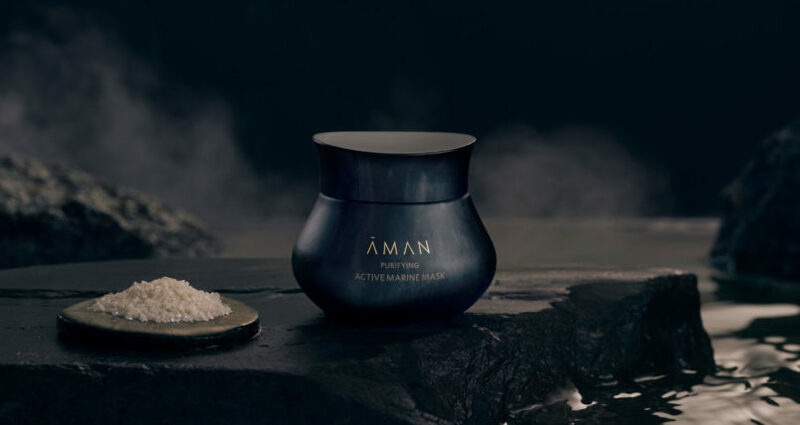 The Aman skincare collection can be ordered from the Aman website or purchased directly at any of their resorts – including the Amanpuri, the original resort which is located right here in Thailand.